Logan Paul may again be in trouble for having a big mouth. This time he is inviting the wrath of Marvel fans everywhere with a recent comment he posted to the Instagram account of Chris Hemsworth. Does Logan Paul want to fight Chris Hemsworth? Now, there are many spectators to this exchange who argue that Logan Paul wasn’t actually starting a fight with Hemsworth. Logan Paul’s YouTube fans claim that he was just mimicking Chris Hemsworth’s comedic sensibilities and was actually Self-deprecating in his own comment. What Logan Paul actually meant..
To explain it further for better interpretation, Logan Paul actually headed an amateur boxing match last summer, where he battled fellow YouTuber KSI. This match was dubbed as “Biggest White Collar Boxing Match Ever”. The fight ended in a draw and has already been set for a rematch this year. Now, this brings us back to Chris Hemsworth. If Hemsworth suggests that he’s not a “real fighter” compared to the real ones of UFC, Logan insists that they’d be an “even match”. This is because he, too, isn’t on a level of a “real” fighter. Whether fair or not, a lot of fans won’t giving Paul the benefit of doubt. This makes sense as the Logan Paul has had a lot of controversies since last year. The latest being, that he’s going gay for a month, following his breakup with Chloe Bennet (Agents of SHIELD) star. 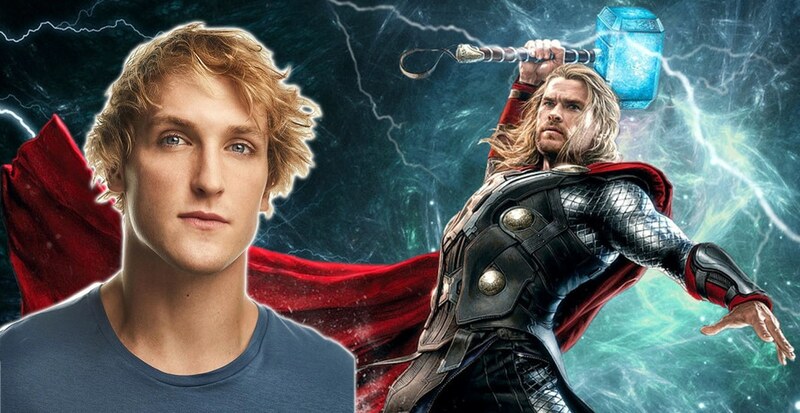 There are many fans who are calling for Chris Hemsworth to step up and beat down Logan Paul for real. However, Hemsworth is also a 35-year old husband and a father of three. While he hasn’t responded to Logan Paul yet, fans are definitely rooting for their favourite MCU star.